Preparing for a job interview can be a time-consuming and possibly harrowing experience. After all, you are trying to convince someone to give you a job. Once you make it as far as the job interview, it’s important to be ready for the situation. Your first step should be research. Research the company. If you know who will be interviewing you, research that person. Get a feel for what the company is about, and what your interviewer is about. Chances are, there is a LinkedIn page or Twitter account that can aid you in your research. Now might not be the time to connect on social media, but you can certainly use these sites for a little research. 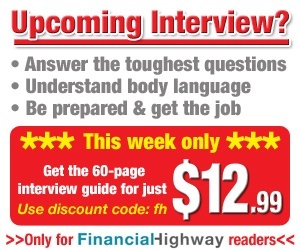 Knowing the company and its needs is a huge step when it comes to preparing for an interview. Now that you’ve done the research, look for ways that you can benefit the company. How do your skills measure up when it comes to fitting in with the company’s culture. Review the job posting, and what you know about the company (and what you possibly know about the interviewer). Identify ways that your strengths can help the company, and prepare to articulate those strengths — and what you can do — at the interview. You never truly know what someone will ask in an interview, but you can still practice. There are some common interview questions that you are likely to come across. Find common interview questions, and then practice answering them. You want to make sure that you are answering in a way that highlights your usefulness to the company, and your ability to fill the job opening. Once you know the location of the interview, practice getting there. It’s even better if you can drive to the location during the time of day you will be navigating traffic on the way to your appointment. Being able to look at the situation, see where the parking is, and have a feel for what you are likely to face as you travel to the interview is important. This will help you arrive on time, making a good impression. Make sure that you are well-groomed and properly attired for your interview. If you can, find out what sort of dress code is common in the office. Try to dress to that level, or a little bit better, but don’t be too overdressed. Make sure to pay attention to proper grooming. Have your hair cut or trimmed, make sure that you bathe/shower, and take care of other hygiene needs. A good first impression goes a long way. Look over your outfit the night before. Make sure it is clean and that anything that needs to be ironed is properly pressed. Bring fresh copies of your resume, just in case. You might also want to bring copies of your cover letter. If appropriate, bring samples of your work. In some cases, you might need to bring other documentation, such as progress reports or sales reports. Think about what might bolster your case as you meet with the interviewer. In some professions, you might need to prepare a presentation. Make sure that you have it ready in advance, and practice it. Think of possible questions that others might ask at the close of your presentation, and be ready to answer those questions. Don’t forget to practice portraying confidence. Those who are more confident are more likely to get jobs than those who don’t project confidence. When you go to an interview, you want to make appropriate eye contact, and offer a firm handshake. These niceties indicate self-confidence, as does good posture, and speaking in a clear (but not overly loud) voice. If you aren’t sure, practice with a trusted friend or relative, or even work with an interview coach who can give you pointers. With the right preparation, you will be more likely to land the job.